Córdoba, Argentina - Balcarce 485 Just Two Blocks From Bus Station! JUST TWO BLOCKS FROM BUS STATION! 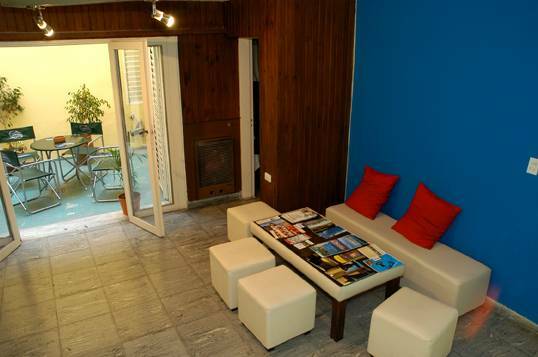 Cordoba4 Beds is conveniently located in the heart of Nueva Cordoba neighborhood, where the day never ends. Just two blocks from bus station, three blocks from downtown and a few meters away from Parque Sarmiento, the most important park in the city. Cordoba 4 Beds offers the fun you are looking for! We invite you to see the dormys with the original private beds, lockers in the rooms and private bathrooms. Argentinian breakfast and bed clothes are included in the fare. The hostel has a wines cellar and offers regional cooking classes in order to make you feel in contact with our culture. We invite you to drink mate with peperina and bread with home made jelly! Come visit us! We have special fares for opening! Balcarce 485 Just Two Blocks From Bus Station! We peek you up! Contract your transfer when you make the reservation! They depend from the Municipality of Córdoba City. Taxi Fare: Initial taxi fare of $ 1. 37, plus $ 0. 069 per each 110 m of route covered. 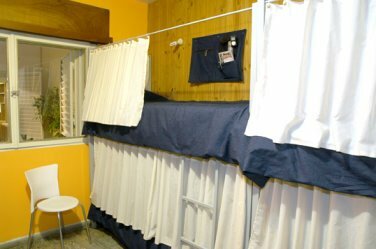 Taxi Fare to Cordoba 4 Beds Hostel (estimated): $ 16. 00. Points of sale: Arrivals: GF International Public Sector. TAKE Line A5, Get off al Bus terminal. Route : Plaza Colón, Bus Terminal, Downtown, Nueva Córdoba Neighborhood, Campus. Where to find them: Parking area, and Cargo Sector. Minimum Bus Fare: $ 1. 20 (token). Bus Fare Downtown: $ 1. 20 (token). Complaints: Transportation Department, Municipality of Córdoba City. Nearest airport: Aeropuerto Taravella - 12 km.